The favorable oncological impact of D3 lymph node dissection after colon cancer surgery has been described previously. However, D3 lymph node dissection is potentially more invasive than conventional D2 lymph node dissection. The oncological merit of D3 lymph node dissection in elderly patients with colon cancer remains unclear. This study aimed to clarify the oncological outcome after D3 lymph node dissection in patients with colon cancer aged > 75 years. This is a retrospective cohort analysis using propensity matching method. The study was conducted at a university hospital and two community teaching hospitals in a large urban city. 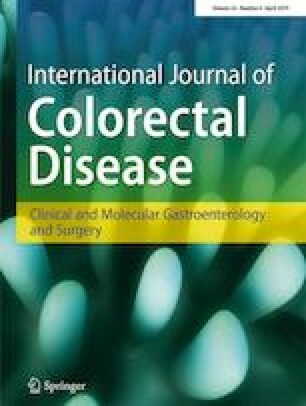 A total of 378 consecutive patients with pathological stage II and stage III colon cancer who underwent primary resection with either D2 or D3 lymph node dissection were retrospectively identified on a prospective database between 2000 and 2015. The primary and secondary outcomes of interests were recurrence-free survival and postoperative complication rate, respectively. After propensity matching, 232 patients were analyzed. The long-term findings showed that the elderly who underwent D3 lymph node dissection had significantly better recurrence-free survival than those who underwent D2 lymph node dissection (p = 0.01). The incidence of postoperative complication was almost similar between the two groups. D3 lymph node dissection provides better recurrence-free survival than D2 lymph node dissection after primary resection for elderly patients with pathological stage II and stage III colon cancer. All study protocols were approved by the Yokohama City University Institutional Review Board (Approval No. 170700003). Informed consent was waived owing to the retrospective nature of the study. The details of the study protocol were provided to patients through a notice board in the hospital and were also published on the hospital websites.